Say hello to spring with authentic French cuisine! 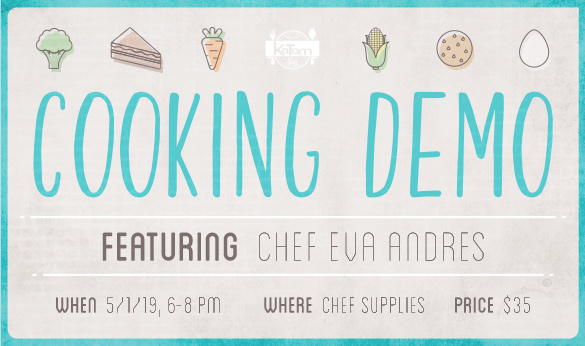 Join us at Chef Supplies on May 1 to enjoy a three-course meal prepared by Chef Eva Andres. Call 865-225-1545 to reserve your spot today! Each month, we feature cooking demos hosted by chefs from all over the region. During each class, chefs present new techniques, delicious recipes, and plenty of entertainment. Whether you have a list of questions for our guest chefs or you’re just looking for a casual night out with friends, we hope to see you soon at Chef Supplies by KaTom.